Since 1986 we have been shaping water to catch the eye and inspire awe. We take great pride in hearing people ask, “How did they do that?” We have 16 patents on our Laminar Flow nozzle technology. Quality and customer satisfaction is at the top of our list. We work closely with Architects, Engineers, Contractors and Designers to ensure your project is completed under budget, on time, and done correctly the first time. Our in-house CAD design and engineering departments create effects that inspire and amaze Waterworks International can make almost any idea relating to effects with water a reality. Many of our designs have lighting components incorporated as an integral part of the unit providing stunning illumination at night. 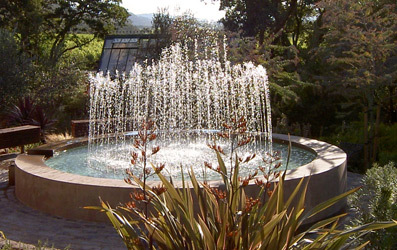 At Waterworks International we thrive on creating magical effects with water. 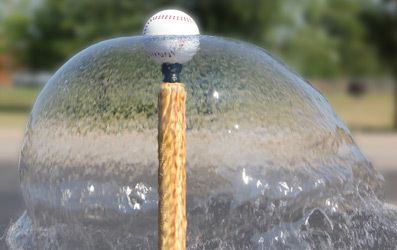 With the experience and expertise of our staff we are able to create almost any effect our clients can imagine. If you are looking for a way to make an area of your home, business or community stand out and inspire wonder you have come to the right place. 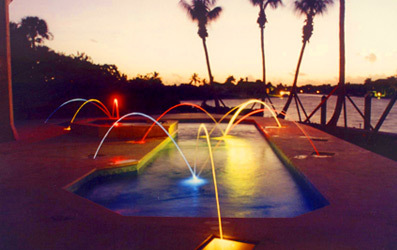 Let us show you how we can help you create that one of a kind effect you have been dreaming of. 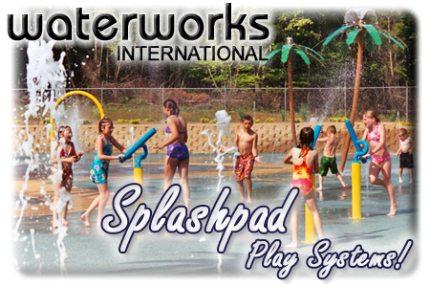 Our easy-to-install and easy-to-maintain modular SplashPad system, emphasizes affordability, flexibility and accessibility - making interactive water fun a cost-effective option for park districts, day care centers, special education facilities, youth groups and community centers, zoos, and hotels of all sizes. 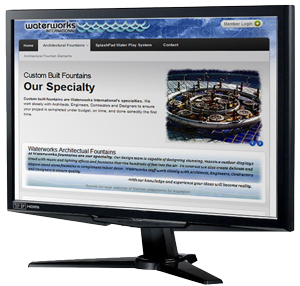 Waterworks website gets a new look! 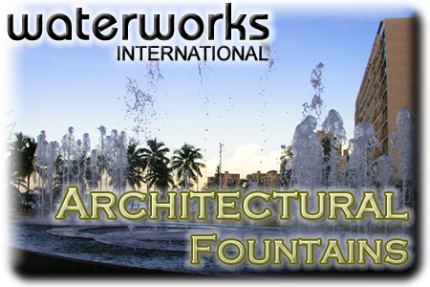 Welcome to the new and improved Waterworks International Website! We have developed our new website to give our current and prospective customers a better understanding of the products and services we offer. We are sure you will like what you see and we look forward to hearing from you. 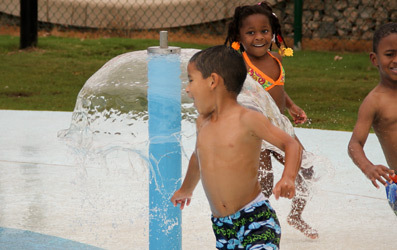 Waterworks has added a gusher of an item to the Splashpad line. will soak those playing under this large feature.